You know what... I am a real person. increases your odds for thriving in a recession environment. Comments for OMG....This Has Gone WorldWide! Your caption and ad caught my attention. As a real gal myself just trying to make things better for my family I can certainly appreciate all of the helpful tools and guidance I am finding here on this site. One thing that I have learned (the hardway) is to make your link "clickable". You will get far more traffic that way. Click "Free Advertising" from the marketing menu on the left. 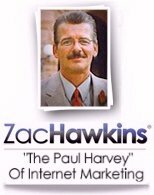 Scroll down Zacs "How to Build Your Free Advertising Page" and you will see instructions under "Putting Clickable Links in your Ad". It is very easy to do and makes a big difference.